Want to Assemble a Dream Team Like Coach K’s? What Are Your Boundaries At Work? As a company that is passionate about making your workforce management efficient, Fingercheck was designed to provide you with the real-time oversight you need to track your employees’ attendance. Monitoring attendance. Addressing poor attendance. Basically, organizations are realizing that getting everyone up to speed on coaching skills is not just “a nice way to give feedback and develop people” but a major component for more realistically assessing performance and organizational success. time-consuming. To help you find the conference that’s right for you, we’ve rounded up the top upcoming HR conferences across the country (Events with an asterisk indicate that Namely will be in attendance—we hope to see you there!) 1. 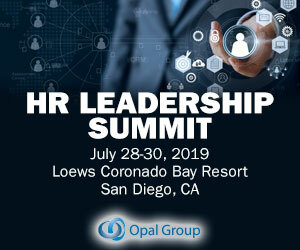 Professionals from across the nation attend this conference to catch up on the latest HR legislation and stay ahead of the curve. Annual reviews have become a way of the past as the focus shifts to goal-setting, coaching , and ongoing feedback. As a manager of sales development at AppDynamics , Saidachev devotes his time to helping his team succeed in opening conversations with prospects and advancing their careers. As a lifelong hockey player, he now coaches youth hockey to give players the same team experiences he had. to attend Aon Hewitt’s Top Companies For Leaders Think Tank. In these conversations, I was struck by how often HR executives returned to the idea of helping managers adopt a “coaching mind-set” as a key component of their companies’ leadership development strategies. Participants also receive a personalized LPI debrief session, or coaching session, with a Certified Master Coach and that time is theirs to use any way they see fit. An insider’s guide to The Leadership Challenge in Sonoma. 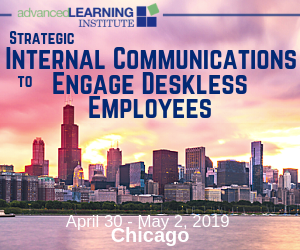 Attending a professional conference should be much more than a chance for your employees to polish their golf game or get out of the office for a few days. It’s important your employees understand that approval for them to attend an industry event is a sign your organization values them and wants to invest in their career. Here’s how to help everyone on your staff maximize the value of attending a professional conference. Talking about the 1992 Olympic “Dream Team,” said by some to be the best collection of sports stars ever assembled, coach Mike Krzyzewski asked 15,000 HR managers, “Wouldn’t you like to have that recruiter?”. Coach K advanced three key concepts that leaders must possess: Adaptability. Recently, one of my contacts who is planning her 2015 schedule sent me a question asking for my recommendations for the top 2 – 3 conferences to attend in the US for HR professionals. One of my plans for next year is to attend more conferences in the US; ideally I’d like to attend events where there is a lot of networking, collaborating and great speakers. Since there are so many events happening all the time, it’s hard for me to assess which ones are best. "These women are ready to re-engage with the workforce and they're excited about it because they've been away for a while—they're taking fewer maternity leaves, their spouses aren't moving for work and they're in a more settled time of their life." Block off time to think – It may sound crazy, but you’ll find that having 30 minutes or an hour each day to think through what you’re facing is an excellent way to slow the pace to a more manageable level. Set boundaries on what times you will be available for colleagues. There is no doubt that we are living in chaotic times. It was with this thought in mind that we put on the “ Growing Leaders During Chaotic Times ” event. We had over 130+ people in attendance, moderated by myself (Christine Tao, Founder of Sounding Board) and featuring fantastic speakers such as Dolores Bernardo (Head of Learning, AirBnB), Darren Shimkus (GM, Udemy for Business) and Cynthia Owyoung (Founder, Breaking Glass Forums, ex Github/Yahoo). Back in October, the University of Southern California fired Steve Sarkisian, its head football coach. Nathan Fenno at the LA Times recaps Mr. Sarkisian’s claims here. If a staff member has a death in their immediate family, would it be appropriate for me to attend the funeral service or the visitation? My spouse feels that my reaction was the exception, not the norm, and most people would feel *off* if a boss (not even their direct boss) showed up during such a personal time. Lots of people would feel tremendously touched by their boss showing up at such a time, and others might prefer privacy. Failing to timely pay a dismissed employee. Dismissed employees have the right to file a wage complaint if their employer fails to provide timely payment of wages (regular pay, overtime wages, and vacation pay included). Failure to keep timely records. In a webinar with over 900 first-time managers, The Ken Blanchard Companies asked people to list their biggest challenge when they made the leap from individual contributor. This was the most-cited challenge that people attending the Blanchard webinar faced. It’s that time of year again. The SHRM Annual Conference takes place June 18-23 and this time it’s touching down in the The Big Easy. Here are three simple and effective tips to help you get more out of your time at the SHRM Annual Conference. The key to having self-motivated employees is effective coaching. Initially, it will take extra time – the whole “teach a man to fish” process versus just “catch a man a fish.” Follow these five steps to make your coaching and feedback process more effective. Then, it’s time to talk to your employees and set goals together. Talk about a deadline and indicate how important the timing may (or may not) be to the success of the project. But when it came time for final exams, it wasn’t so great. But it was also my fault because I didn’t demand he spend more time going over sample problems. The ones who attended tutoring sessions all semester in preparation for the big day of finals. She’s had documented attendance and performance issues and has been placed on a PIP. Considering the timing of when the gift was given, it’s likely she hasn’t since it was late on a Friday night when all the department managers were gone for the week. Coaching a combative, negative employee. She has an us vs them mentality when it comes to management and often times takes a combative approach when discussing employee issues, policy changes, updates, or general feedback. Besides time and cost saving, ensure that you pick a software that aligns with your objectives and adds significant value to your business. 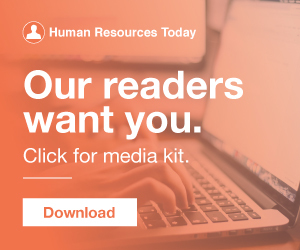 Selecting a suitable HR software vendor can be a challenging and overwhelming task. o At that first meeting, take time for the team members to get to know each other in terms of their work experience and their areas of expertise. Establish peer coaching meetings to help the team problem solve and improve their skills. It’s made the social media rounds, but was still good for a laugh one more time. Here are just a few: Employees don’t have time to get their other work done. ” All the time! Speaking of time… it doesn’t end when it’s over. I’d challenge you to think of the last few weeks of meetings you attended, and I’d wager that most are tactical. As leaders, how do we reach beyond this to use meeting time more strategically? I’ve been thinking about meetings. She was so eager to secure the position, which was opportunely vacant at the time, that she paid out of her pocket to retain me as her executive coach. As the first member of her family to attend college, she had always been a high achiever and somewhat of an outlier in her family. On October 12, USC fired its head football coach, Steve Sarkisian. Q: What should an employer do if an employee mentions alcoholism, or requests accommodation, for the first time in response to discipline for unacceptable performance or conduct? There may not be enough time to develop those immediately below you. While in many cases, it’s appropriate to expect flawless results, the reality is that, many times, the time effort it takes to get that last five percent right far outweighs the value derived from that effort. No time to get anything real done—what’s in my e-mail inbox? As a time management coach, I’ve seen that most people can easily reclaim one to two hours of productivity in their workday by changing their default settings. Here are five ways to get more done by reclaiming small pockets of time. When you have a small opening of time, challenge yourself to knock items off that list. Develop leaders to be coaches. Sandra has an executive coaching certificate from Royal Roads University. First Credit Union integrates “the coach approach” into all its one-to-one and performance discussions. The coach approach is all about asking the right questions and enabling employees to discover their own accomplishments and areas of improvement. But, as pointed out in a recent post on Fast Company by Renee Robertson, coaching is not criticism. Because you have ignored the one element that helps everyone focus on things that matter most: You haven’t helped them create the space to attend to those important tasks. The concept is simple: Create a system that allows people to focus for an uninterrupted amount of time.